The first episode of The River's second season began on a high note, and we are already experiencing heart palpitations from all the drama that has ensued from last night. In the final episode of season one, Lindiwe shot herself after discovering that Tumi is her daughter. The final season left viewers in shock as they tried to figure out if the mining mogul survived the incident or not. Lindiwe was rushed to hospital and underwent surgery. The doctors managed to get the bullet out of her head, but to our shock, South Africa's most loved villain had suddenly stopped breathing and flatlined at the very last seconds of the episode. 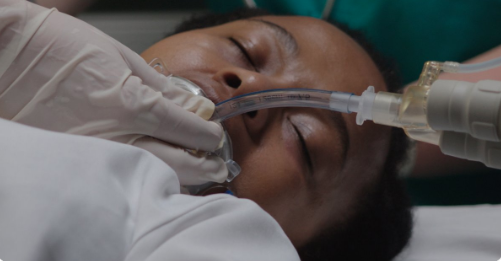 Her difficulty with breathing did not sit well with avid viewers of the telenovela, as some did not want to believe she's going to die, while others were hoping she'd make it out alive to cause more havoc. However, one user had a very valid opinion that had many viewers relieved and hopeful that Lindiwe will not be cut out from the storyline. The important question here is not whether Lindiwe will make it or not, the crucial question that needs answers is whether Tumi made it out of that hole that Lindiwe buried her in.